Twice as hard as stainless steel and metal utensil safe, the hard-anodised construction of this Anolon Endurance+ piece provides exceptional heat conductivity and distribution. DuPont Autograph® non-stick provides maximum food release and is easy to clean. Riveted handles for strength and durability, with SureGrip™ for ultimate comfort. Suitable for all cooktops including induction. Oven safe to 200°C. 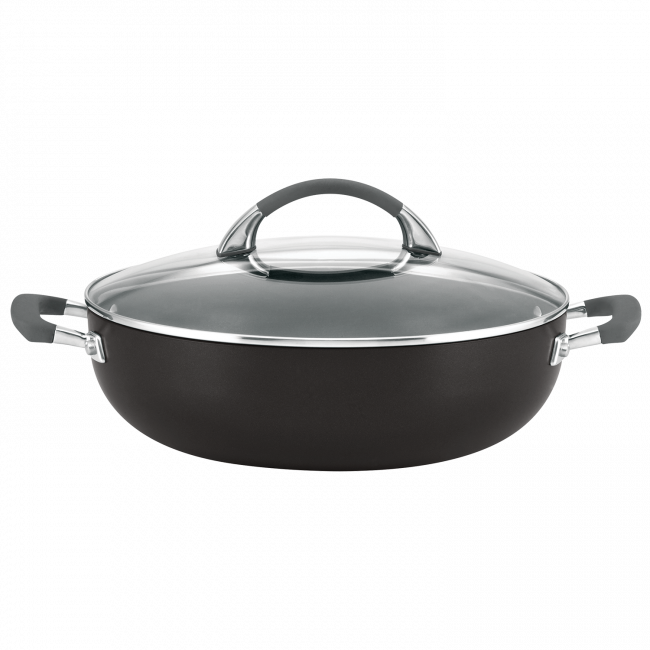 Anolon Endurance+ 26cm/3.8l Covered Casserole is rated 5.0 out of 5 by 1. Rated 5 out of 5 by Happy from My favourite pan I bought this for myself a year ago and use it for so many things. So bought another one for my daughter in law for Christmas. Nothing sticks and pan just washes out easily.